When others see us this is what we hope that they will see: how we serve Jesus and how we serve others. We look to the Thessalonian church as a model in this. “For they themselves report about us what kind of a reception we had with you, and how you turned to God from idols to serve a living and true God, and to wait for His Son from heaven, whom He raised from the dead, that is Jesus, who rescues us from the wrath to come” (1 Thess. 1:9-10). We know that a true love for Jesus will always show itself in love for others. This is why at Pike you will not only find activities to be a part of but also opportunities to serve! On Sunday Morning we have a Sunday School hour starting at 9:30am. There are classes for all ages from Nursery on up to Adults. In Sunday School you will have the opportunity to get connected with others and be encouraged through study and prayer. There is no prep required- just show up and take a seat! Our Worship Service begins at 10:30am. During the service you will find a refreshing mixture of hymns and choruses all grounded in truth. As the service continues get your Bible out and get ready to take an in depth look at one of the books of the Bible. Pastor Rudy preaches through books from both the Old and New Testament knowing that ALL of it points to Jesus (Luke 24:44). We have found God’s Word to be an amazing commentary for all of life. The Word of God is relatable, relevant, and real for any and all seasons of life. God gives us truth to hold to and to grow to in His Word! On Wednesday Nights there are activities for the whole family to be involved in. From 6:30-8pm we have: AWANA (Sept.- May) for those 18months- 6th Grade. IDENTITY TEENS (All Year) 7th-12th Grade. MARKSMAN MINISTRIES (Summer Months) for Elementary kids. And more. On Monday Nights our Men’s Group meets at 7pm. This group gives guys an opportunity to gather together to grow in what it means to “Act like men!” (1 Cor. 16:13-14). Find others to share life with and learn from in this group. On the 2nd Thursday of each month our women meet for Women of Grace. This group usually meets at 7pm with the occasional 6pm special meeting. Our women gather to study and also serve in many different capacities. Come to find encouragement and others to grow with. These are just a few of the times that you could show up to. As you will discover at Pike there are also many other things to be involved in throughout the year from Bible studies to service projects. The best way to find out about any of these things is just to show up! Check out the “contacts” page to find directions to Pike. We are located right on Pike Road in Mundy’s Corner. Our address is 541 Pike Road Johnstown, Pa 15909. Pike has a special group of people who are on the lookout for you so don’t worry about feeling left out or invisible. We do our best to make sure that you are welcomed at any of our services or activities. Also make a point to look for our Pastor when you visit! The Lord led Pastor Rudy on a journey from the beaches of Southern New Jersey to the city of Philadelphia to the mountains of Western, Pa in June of 2011. 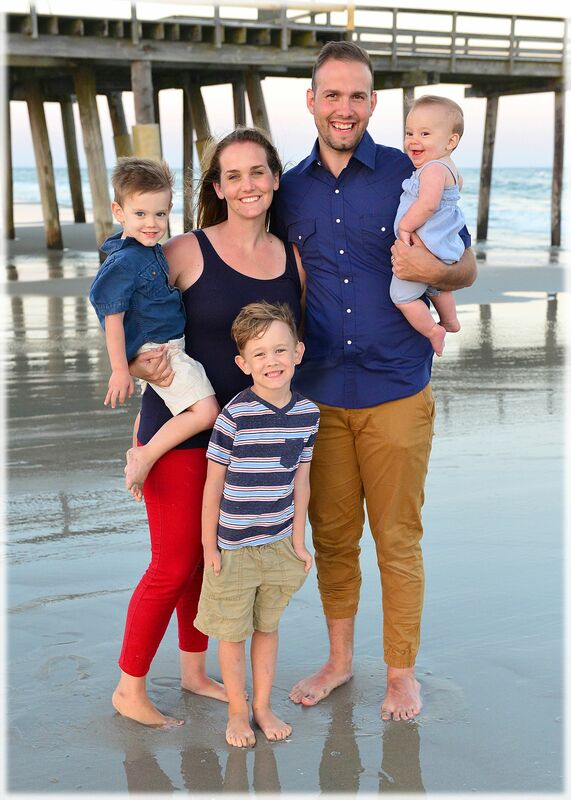 He began his ministry at Pike as the Youth Pastor and in 2014 he began transitioning into the Lead Pastor role. His current position was made official in January of 2015. Pastor Rudy is married to Lindsey and they have 3 beautiful children. He loves Jesus and he would love to get to know you!